You’ll be out cash and time, yes. But your business reputation can also be impacted when you’ve got trucks and cars breaking down all the time. Especially if you start running late (or start getting sloppy) on deliveries and deliverables. A woman who works for a business in the spa & personal care industry came to me because the business’s vehicles were breaking down all the time. Their broken down fleet vehicles were costing the business a lot of cash. We suggested a plan to maintain the vehicles in great working order, so she wouldn’t have breakdown maintenance, only regular car, truck and van maintenance so she could consistently plan and budget for, without the high pressure of an emergency breakdown. We started with a comprehensive vehicle inspection for each vehicle in her fleet. We recorded exactly where everyone and their vehicles were, in terms of what was happening, what was needed and what would need care and attention in future. Then we prioritized those items from safety down to maintenance items, so our client would have a frame of reference in order to choose what would need doing next, according to her business’s budget and priorities. She was able to pick and choose off the list since she had some context of the big picture, as well as what was needed for each vehicle. Eventually each of her vehicles (in this case vans) got to a level where everything was repaired and reliable. Now every van in her fleet is on a maintenance schedule. We are on the same page with our fleet auto repair clients. Everyone knows when the bigger 30k, 60k, 90k & 120k maintenance visits are for each vehicle, as well as all of the regular maintenance items like brakes that wear out that are a normal wear-and-tear. But because we’re seeing them on a regular basis, we’re being proactive and preventive, instead of reactive. When a van gets towed in, it’s stressful! It is really bad when you see a commercial van come in on a tow truck. That vehicle is clearly down and now the client has to scramble to figure out what to do. All their tools are in there. The team’s schedule needs to be reworked to get as many jobs done, and crew members working as possible while the van is being repaired. The customer’s job may be delayed or need to be rescheduled. There’s a question of how long the vehicle will be out of service and what to do in the interim, which can also affect other crews and customer jobs. If a company is falling through on deliverables, or late, and their customers are impacted, that’s not good for their business reputation. Plus, they are out the cash of a whole vehicle not only being temporarily out of service, but likely a more expensive fix than regularly scheduled maintenance would be too. Schedule one vehicle for a comprehensive vehicle inspection and begin to get your fleet onto regular maintenance that you can budget for with your business’s time, cash and crew, with the supportive local team at Tom’s Automotive. 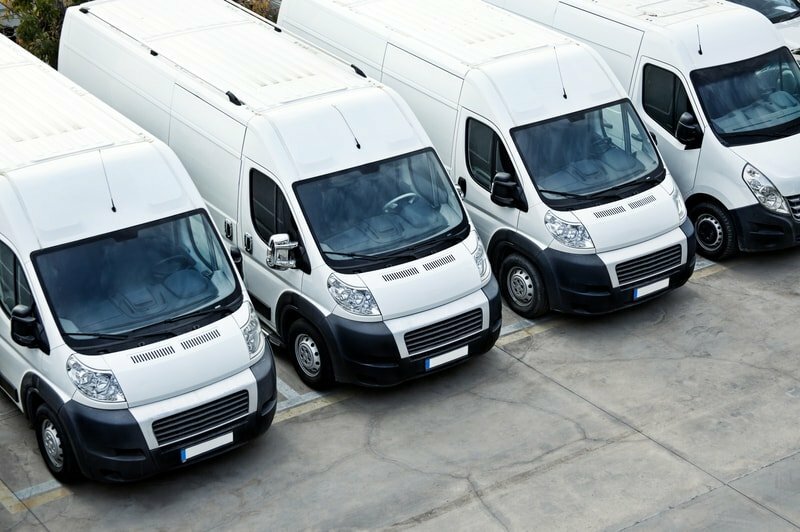 Start with one car, truck or van and then work with us to get your whole fleet on a good plan, where each vehicle is continually maintained and ready for business.